I was asked today for my Taco Soup recipe so I will just share it on my blog. It sure tasted good on this snowy, wintery, spring day! This soup is very easy to make-basically just open cans!!! But you have to plan ahead to have the cans on hand. 1 lb. hamburger fried with 1 large, chopped onion. I drain and rinse all the beans to get rid of the thick, starchy liquid. Heat and simmer for 15 minutes before serving. Can be made the day before. Crunch a handful of Dorito (our preference) or tortilla chips in bottom of soup bowl and add the soup with the following options sprinkled on top: sour cream, shredded cheese, hot sauce and salsa. Late last summer I was suddenly in the market for a new grill. I poured over the internet looking at pictures and specs on the different brands, comparing prices and features. Finally I went to town and looked but they didn’t have want I wanted. I did appreciate getting to look at the different brands. 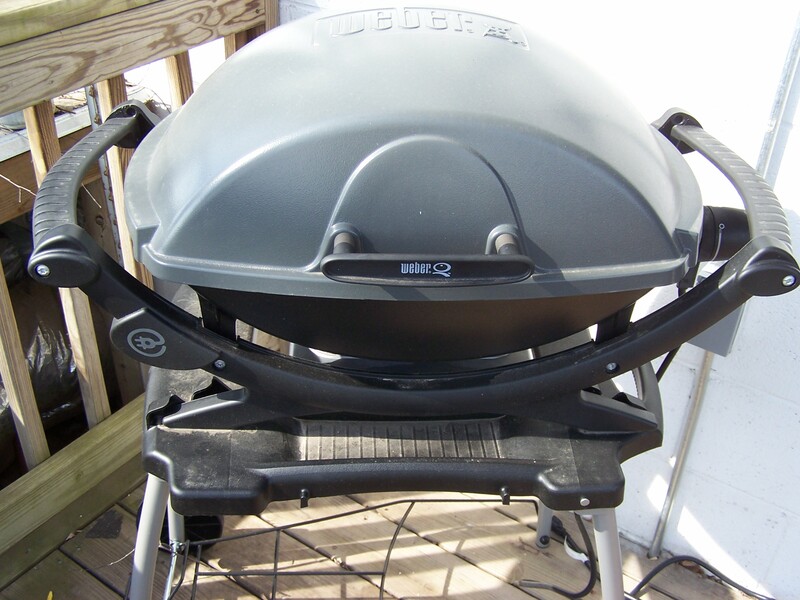 I have had several different types and brands of grills over the years. I started with charcoal-remember those days and progressed to propane and have had several electric through the years. I really prefer electric over propane because of the way it cooks barbecue chicken. My Holland Grill grilled nice chicken even though it was propane because it cooked from indirect heat but I had lighting issues with it and it was difficult to clean. It had a very small hole that dripped into a swinging bucket. I often had to poke a wire or stick through the hole to open the drain. I finally settled on an electric Weber Grill and I have to say it is my favorite of all the grills I have ever owned. Now let me brag on it’s features and why I love it. Their propane style has the same features. 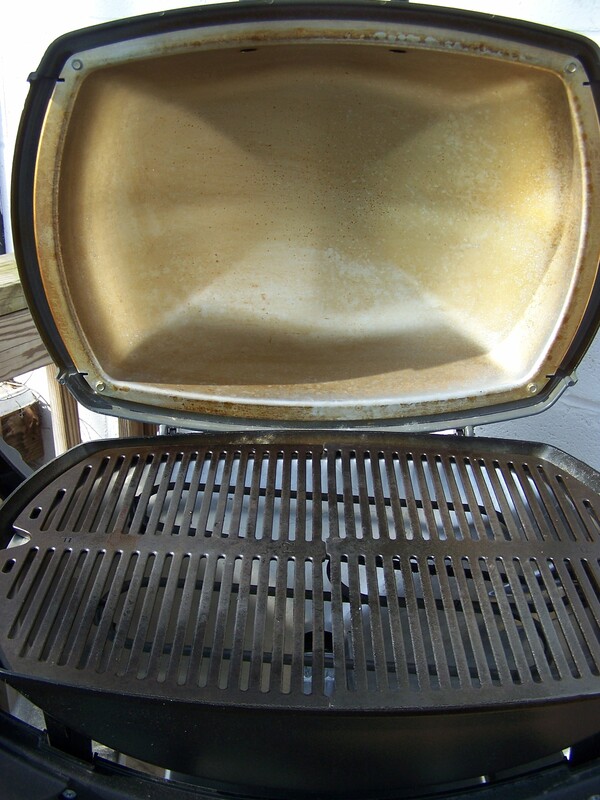 I have used this grill all winter and look at how clean it is. 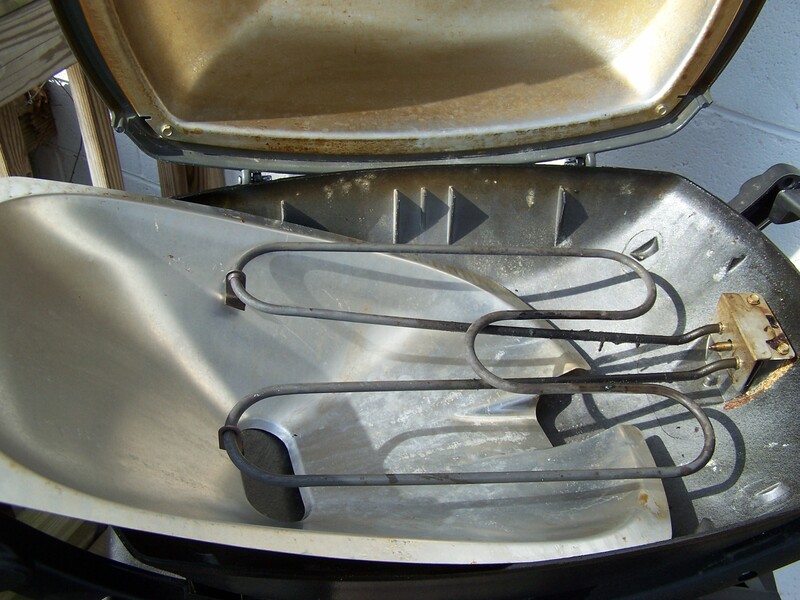 It has to be the easiest to clean grill on the market! This caught me a little by surprise as the websites-including Weber’s doesn’t brag on this feature enough. The cast iron grate is in two pieces making it easy to remove and clean in the kitchen sink. Most of the time I cook on just one side (for just the two of us) and only have to clean one side! It fits in my kitchen sink and is easy to scrub. 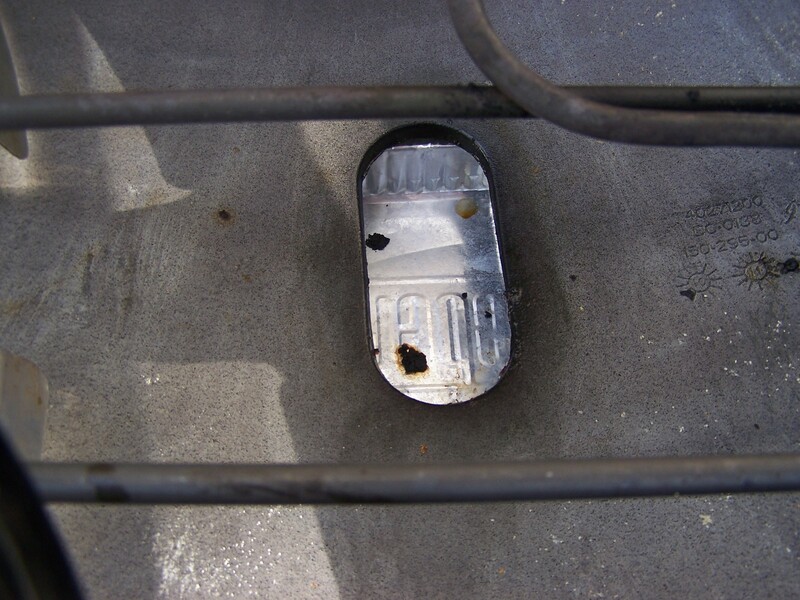 There is an aluminum liner underneath the heating elements. It slips out and each time I also wash it in the kitchen sink. Notice the opening in the bottom of the liner. It is large enough for juices and droppings to fall through to the pan underneath. No more clogged holes! 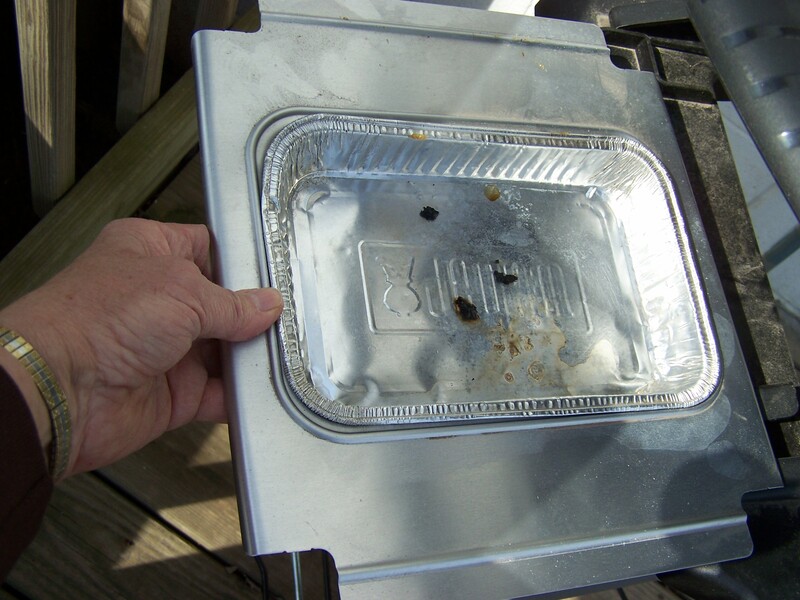 The drip pan is a tin foil liner available in the grocery store, however I have been carefully washing and reusing it. 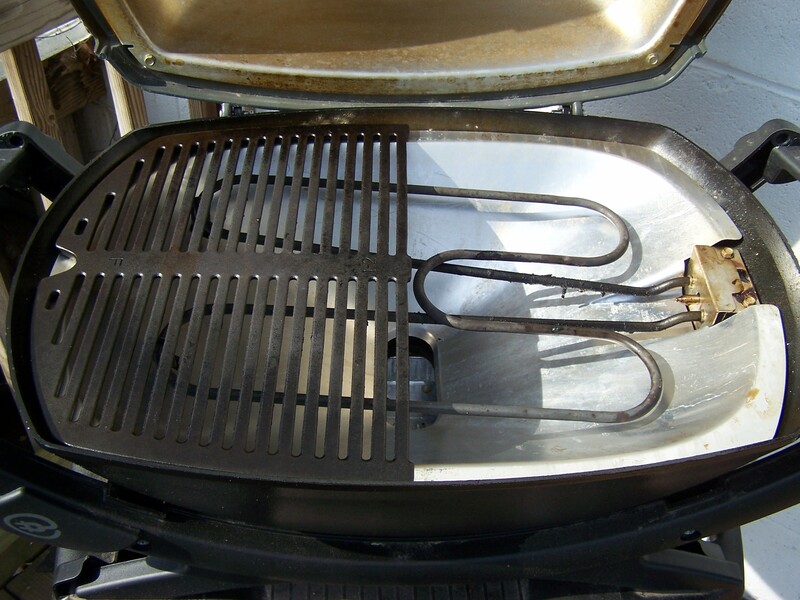 It sits in a slide tray that slides securely into a groove under the grill. No more swinging buckets to get knocked off or little cups to fall over. This is why I love my Weber grill…just saying! Stir together and brush over the chicken pieces every 10-15 minutes. Takes 1 hour to grill depending on the size of the chicken pieces. Chicken halves can take up to 1-1/2 hours. Grill until the chicken is tender and well browned. I have also used this recipe on whole chickens grilled using a post or can. I fill the post with the sauce and brush it on the outside skin the same way. You can skin the chicken pieces and brush this sauce on the the same way or marinate an hour or so before hand.